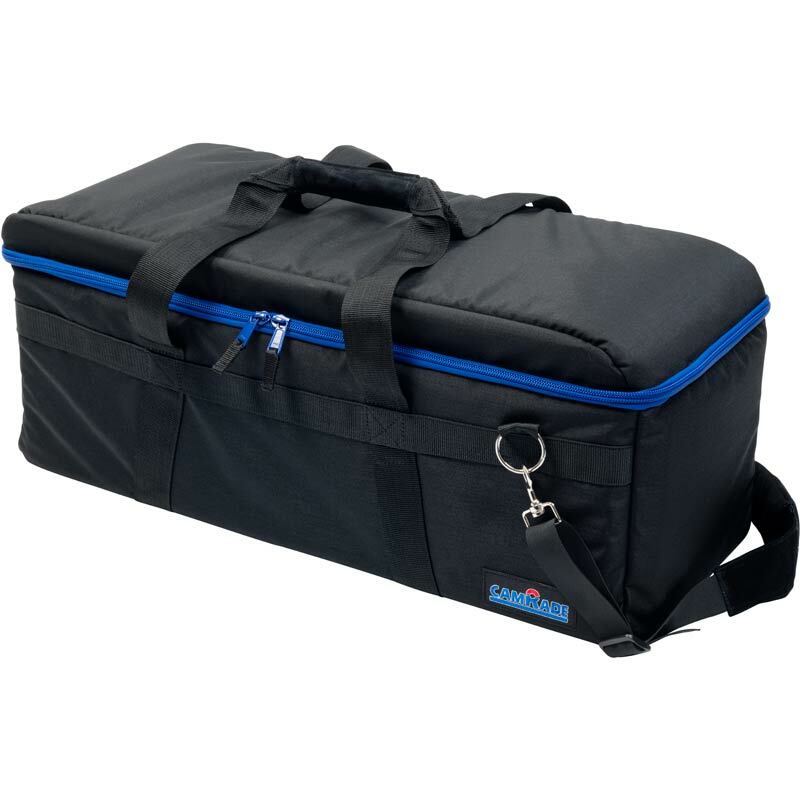 Exterior (L x W x H): 80 x 35 x 33cm / 31.5 x 13.8 x 13"
Interior (L x W x H): 77 x 30 x 23cm / 30.3 x 11.8 x9.1"
This high quality camBag HD Large ensures solid protection for a wide range of professional camcorders up to 77 cm/ 30.3 inch. Special reinforcement of top, bottom and sides, safeguards your high value camera and accessories, in all weather conditions. The bag is equipped with various adjustable pockets on the inside which makes it easy to adapt the bag to your specific requirements. An outside mesh pocket is added on the back for quick and easy access to important items or documents. Underneath the lid you’ll find two mesh pockets to store small items such as cables and memory cards. The square shape and special reinforcement, allow you to stack the bags on top of each other, without damaging your equipment. 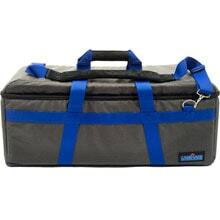 Soft padded suede handles and the removable and adjustable shoulder strap provide comfortable transportation options. 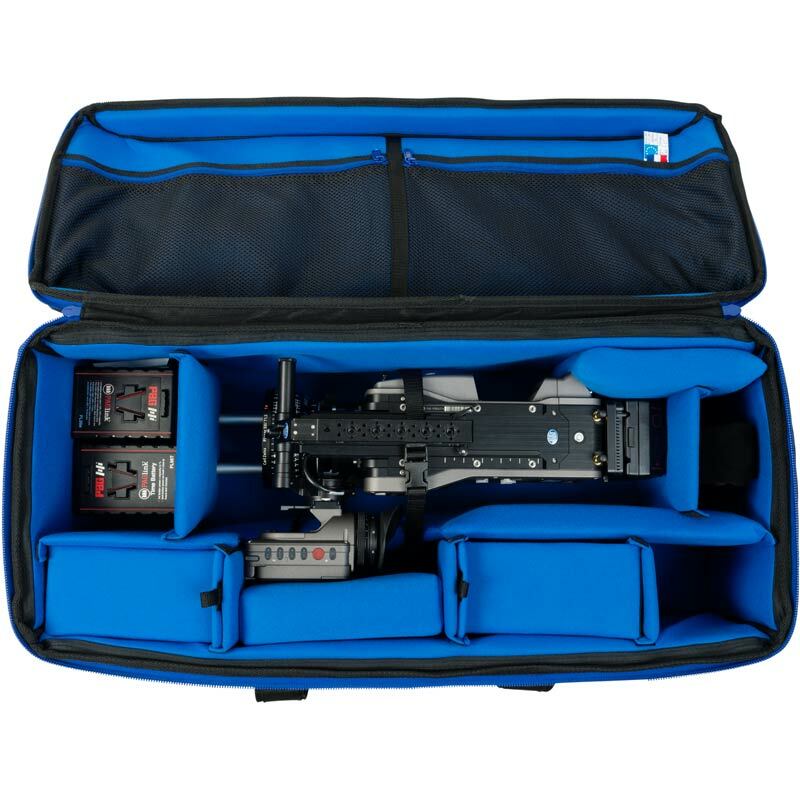 The abrasion-resistant fabric (1000 denier grey Cordura®) and the reinforced but soft-padded interior with customization options, make this bag a great addition to your professional protection gear for your camera equipment.